Much thought goes into the creation of a LARP character. Do you rule or serve? Shall you seek the good of the kingdom or become a harbinger of chaos and destruction? 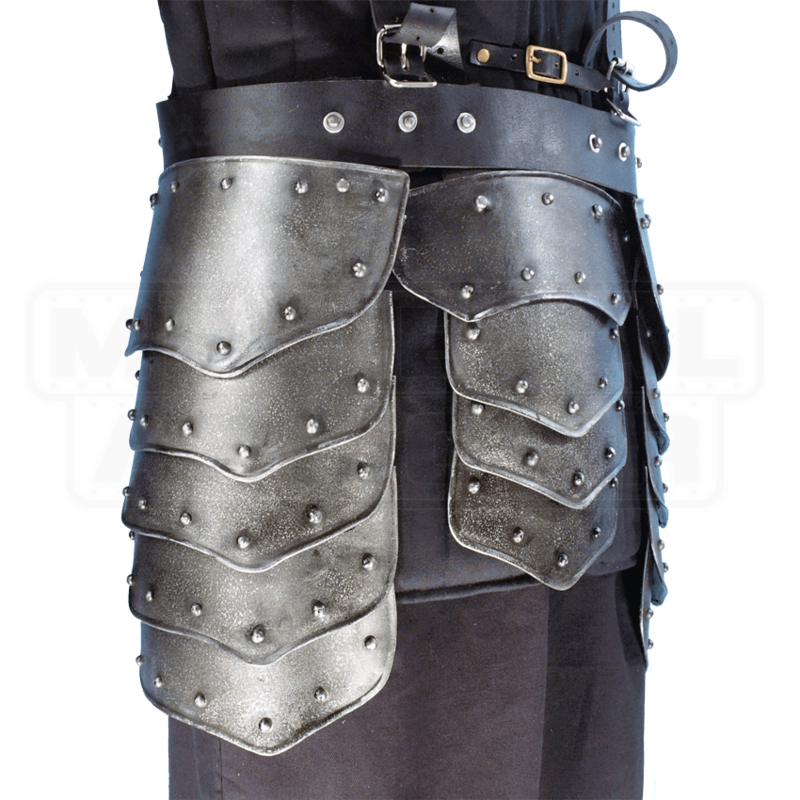 Regardless, the Dark Warrior Tasset Belts aids a strong defense. Crafted from 18-gauge mild steel, the tassets feature a dark metal finish that is resistant to scratches and rust. Rivets and rolled edges increase the deflection capability of the thigh armour. Multiple plates overlap each other and form three main sections, providing protection to the thighs and the groin area. 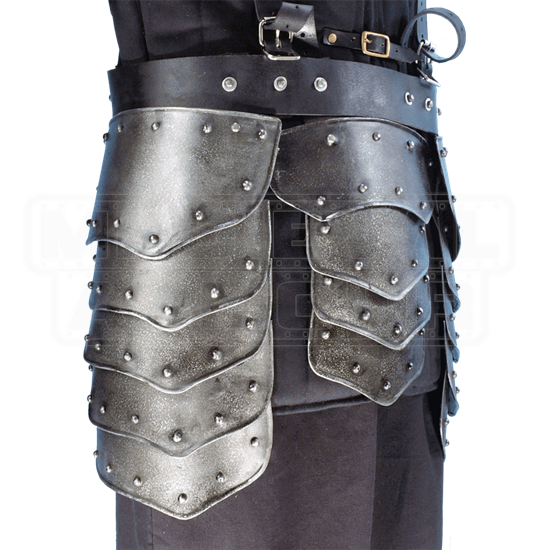 The Dark Warrior Tasset Belt matches perfectly with the Dark Warrior Steel Greaves and the Dark Warrior Arm Bracers.